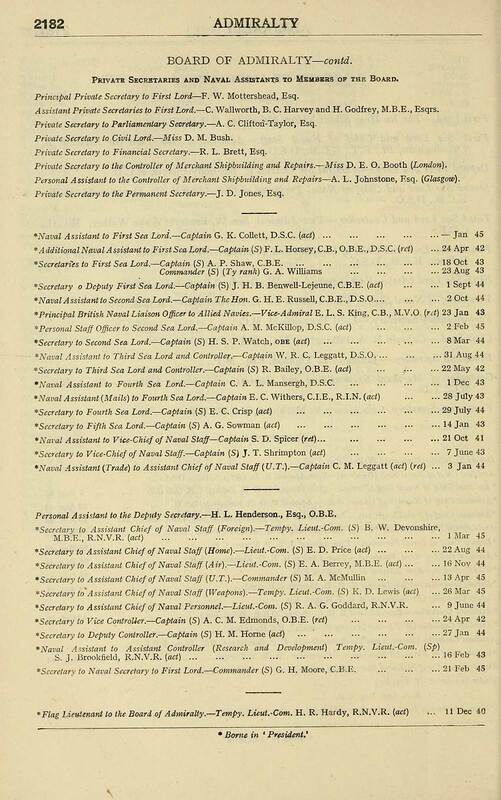 Private Secretaries and Naval Assistants to Members of the Board. Principal Private Secretary to First Lord — F. W. Mottershead, Esq. Assistant Private Secretaries to First Lord. — C. Wallworth, B. C. Harvey and H. Godfrey, M.B.E., Esqrs. Private Secretary to Parliamentary Secretary. — A. C. Clifton-Taylor, Esq. Private Secretary to Civil Lord. — Miss D. M. Bush. Private Secretary to Financial Secretary. — R. L. Brett, Esq. Private Secretary to the Controller of Merchant Shipbuilding and Repairs— Miss D. E. O. Booth (London). 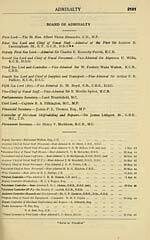 Personal Assistant to the Controller of Merchant Shipbuilding and Repairs — A. L. Johnstone, Esq. (Glasgow). Private Secretary to the Permanent Secretary.—']. D. Jones, Esq. Personal Assistant to the Deputy Secretary— H. L. Henderson., Esq., O.B.E. "Secretary to Assistant Chief of Naval Personnel. — Lieut.-Com. (S) R. A. G. Goddard, R.N.V.R. "Secretary to Naval Secretary to First Lord. — Commander (S) G. H. Moore, C.B.E. 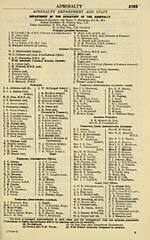 H.M. ships and establishments, civil officers, etc.